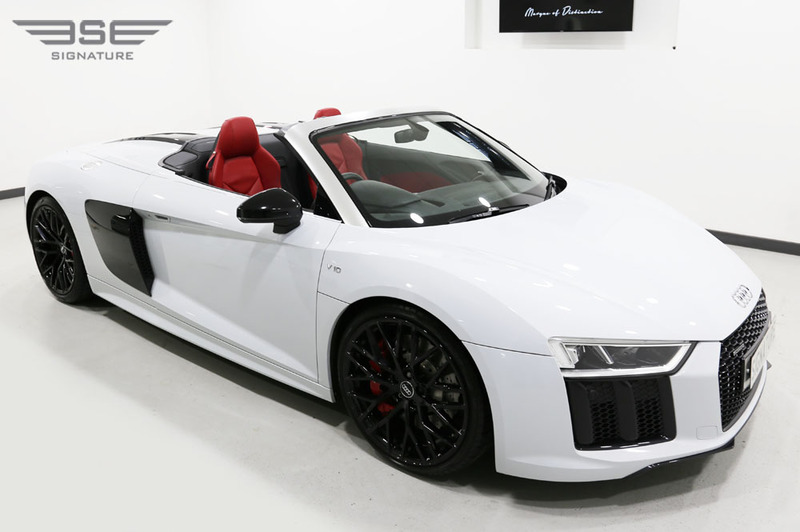 Our sizzling white Audi R8 V10 Spyder is a still a red hot favourite as a summer car rental choice. 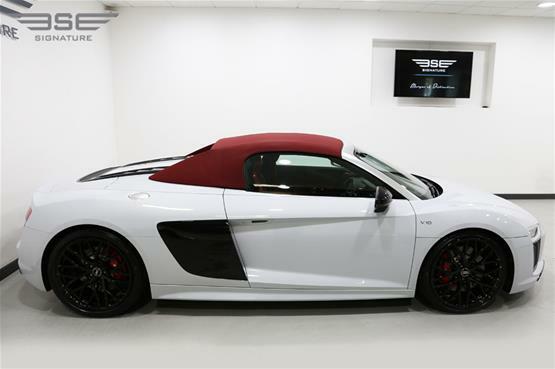 With its red roof and black detail on the outside this rental sports car gets you noticed on the road! 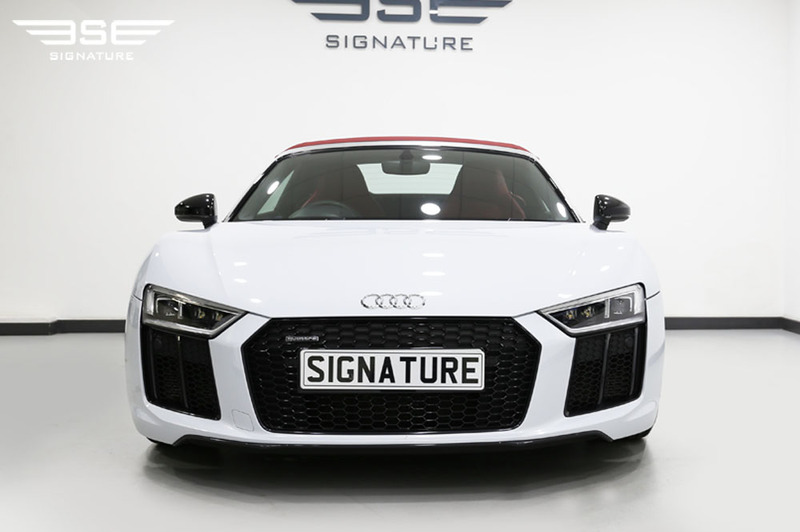 With a large 5 litre high performance, naturally aspirated V10 engine this rental sports car will get you where you want to go post haste! It has two sports seats nestled in to the cockpit style interior and comes with astounding road holding thanks to its four-wheel drive and ultra-stiff chassis. 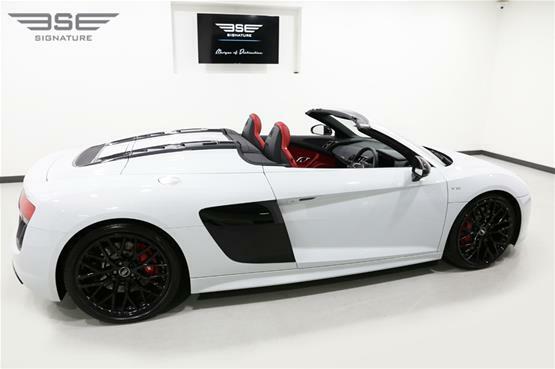 This model is a spyder, which means with the top down you’ll fully appreciate the growling Audi V10 engine which is matched by their sister company's Lamborghini Huracan model. 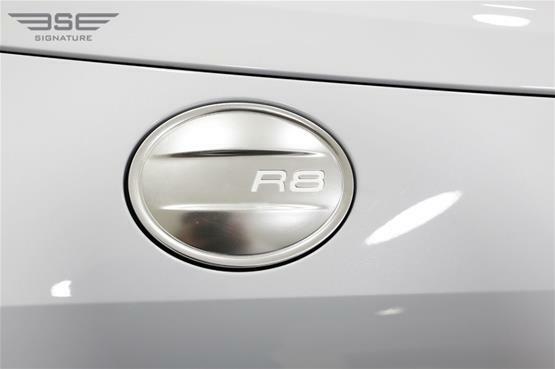 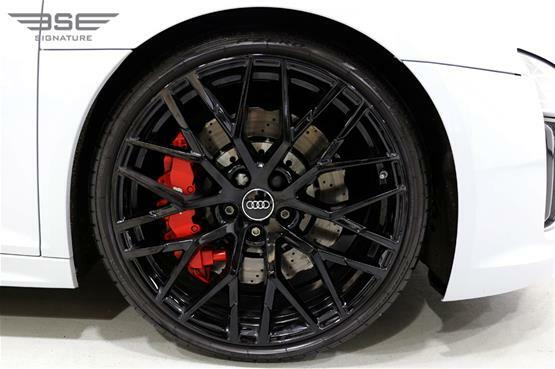 It delivers its thrilling and powerful drive through its seven speed, S Tronic, Quattro, twin clutch automated gearbox. 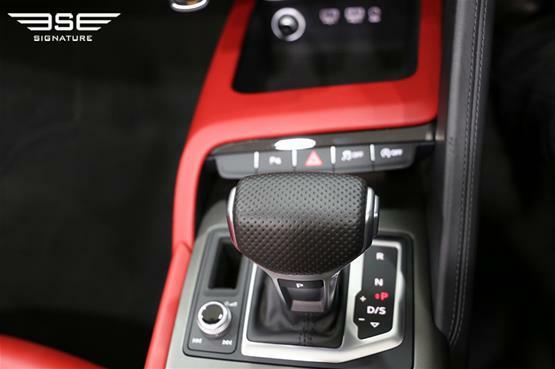 When driving hard the changes are fast but for more carefree driving they are virtually seamless. 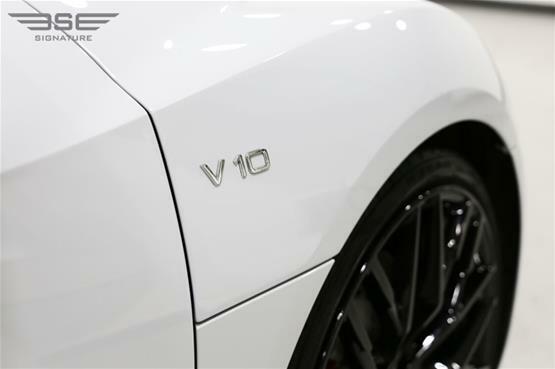 The A8 positions itself as a supercar yet offers everyday usability as a run-around rental car that still gets you noticed. Taking the hood down, for example, only takes 20 seconds whilst doing up to 31 mph. 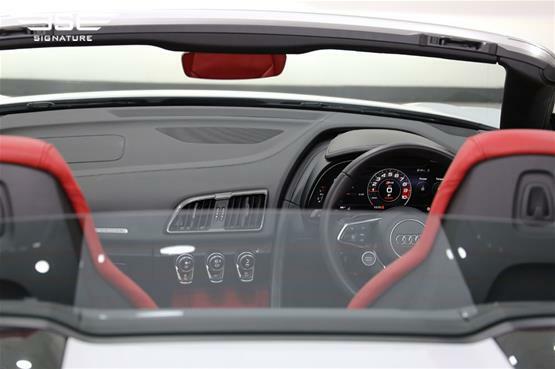 Inside our R8 rental car you’ll find Audi's Virtual Cockpit where design simplicity reigns. All necessary drivers’ aids are located integral to the sports steering wheel and the digital instrument binnacle. 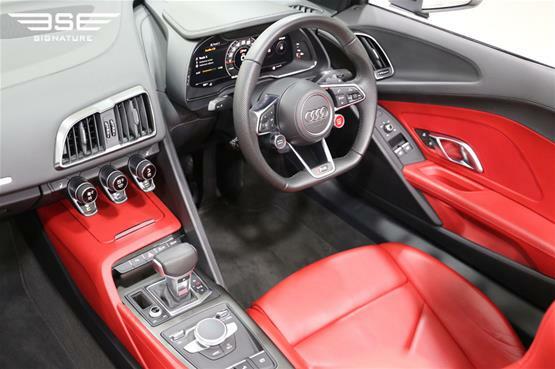 The interior's design shows off Audi at its very best. 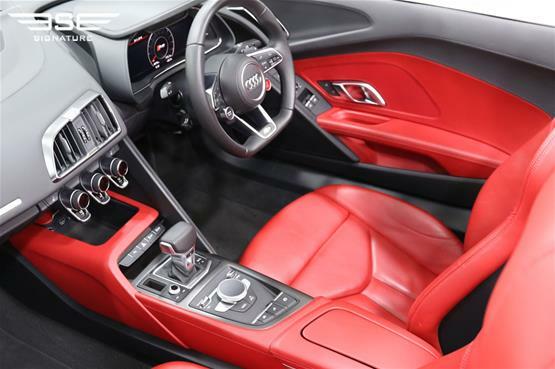 Occupants are cocooned in leather sports seats and surrounded by fine materials and luxurious finishes. To further maximise the usability of this supercar there is even luggage space at the front. 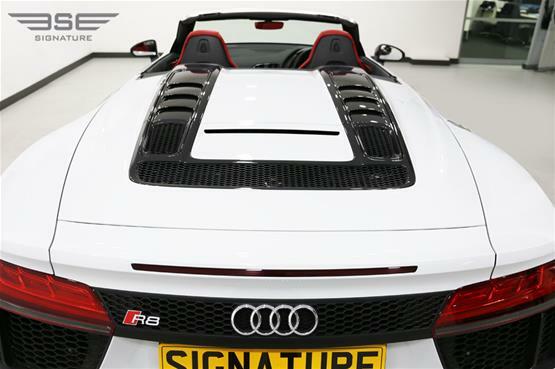 It costs a lot to buy, maintain and run a supercar and so we allow Audi fans to drive their dream Spyder R8 without huge costs and hassle. 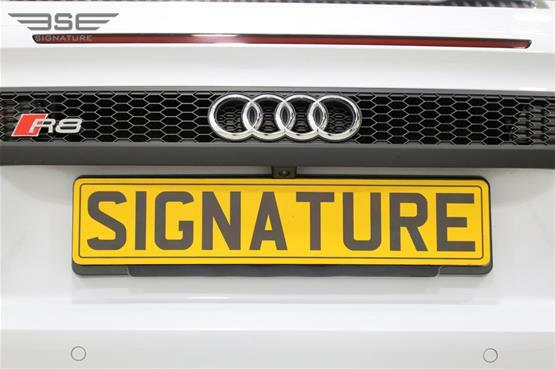 Call us today on 0207 118 2244 and ask about our rental car packages. 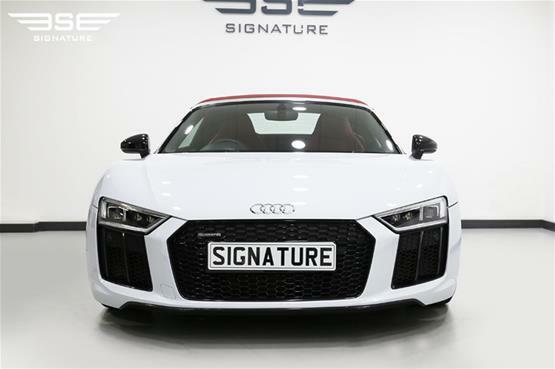 Our Audi R8 V10 hire car has striking Mythos Black contrast side blades. 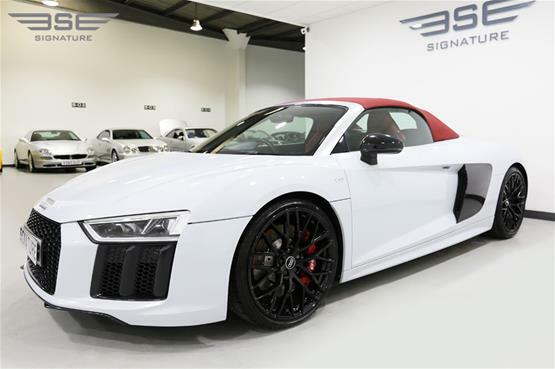 This Audi R8 is equipped with a combination of optional extras which have been added to enhance your rental experience; these include a smartphone interface, sport plus and driver assistance packs and a sound Bang & Olufsen sound system to match the roar of the V10 engine. Only the best and most experienced trusted employees that work at Audi's Neckarsulm factory are permitted to build the unmistakable Audi R8. This is down to the cars intricacy and the knowledge and expertise required to build this supercar. There are over 5000 separate parts to assemble and fit which takes about 70 hours in total! 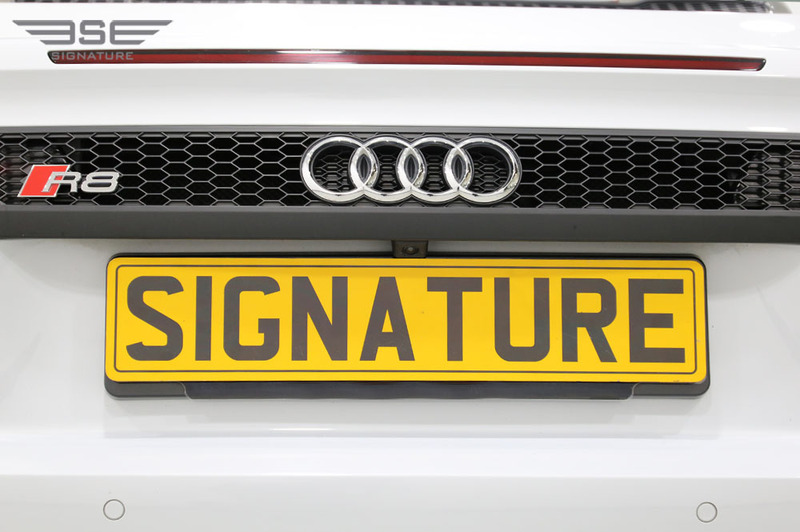 Most of these prized workers are known as ‘Silverliners' because they have been with the company for so many years!